by Greg McCambley | Oct 24, 2015 | #Bond_age_TV, The Man from U.N.C.L.E. Hello again, everyone. 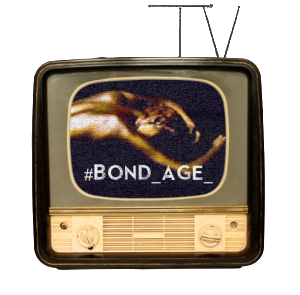 In February of 2014, I was given the opportunity to livetweet TV spy programming on a regular basis by @007hertzrumble under the #Bond_age_TV banner. In March of 2014, I started programming episodes of The Man From UNCLE. I sometimes have commitment issues to ideas, so I wasn’t sure exactly how long I would continue it. The audience started small, but they were very loyal. I’d started planning episode by episode; eventually, I began planning the livetweets season by season. That planning has finally led us to this, the final #UNCLEtweet ever. We may do the movies from time to time, but as a regularly scheduled event, The Man From UNCLE has reached the end. Naturally, for the final livetweet event, we will be riffing the two-part series finale, The Seven Wonders of the World Affair. In the final episodes, Napoleon and Illya find themselves facing off against both THRUSH and a rogue UNCLE agent who is determined to end Mankind’s hostility permanently by pacifying the entire world with an army of geniuses and a docility gas. Guest stars this episode include: Barry Sullivan (TV’s The Man Called X and The Tall Man); Leslie Nielsen (Airplane!, The Naked Gun); Eleanor Parker (The Sound of Music, The Man with the Golden Arm); and Mark Richman (Agent for H.A.R.M.). Please put on your snazziest loafers and join us this coming Wednesday at 9pm EST to give The Man from UNCLE a fitting sendoff. 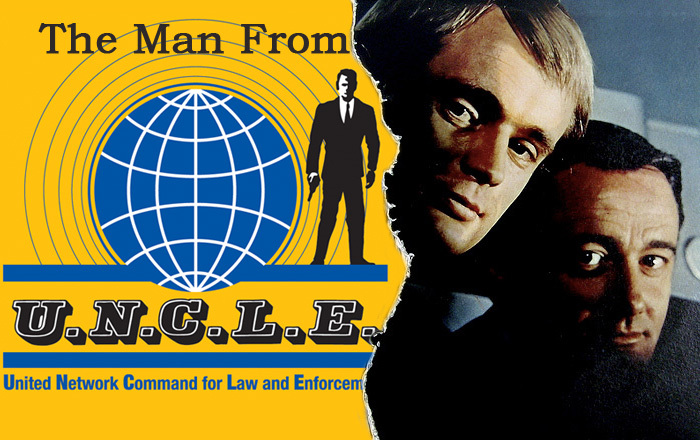 by Greg McCambley | Sep 20, 2015 | #Bond_age_TV, The Man from U.N.C.L.E. 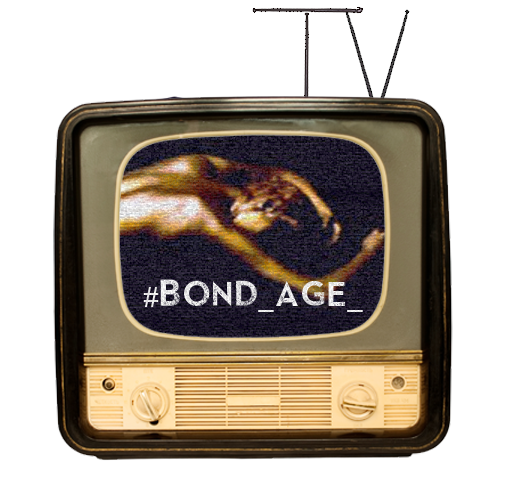 It’s #Bond_age_TV time again, and we’re back with the second to last #UNCLEtweet session ever. With the final season of UNCLE being as short as it was, selecting individual episodes to watch was a difficult task. There were only 12 standalone episodes in season 4, and I was certainly not going to be able to cover all of them. There were really only two I knew were going to be part of my plans. The first was The Master’s Touch Affair, which I had intended to be the last episode of season 4 I used (naturally, it ended up as the first). The second was The Deadly Quest Affair, which features good old #Kolchak himself, Darren McGavin, as the villain. Anyone who reads this probably knows that I do a livetweet of Kolchak every Friday night, so livetweeting McGavin’s only UNCLE appearance was a must for me, so it becomes the first episode coming this Wednesday. Illya is kidnapped, and Napoleon finds himself being hunted by a man they both thought dead. Can Napoleon survive in the urban wasteland Viktor Karmak (McGavin) has chosen as his hunting ground? Our second episode for this Wednesday started out as just a random selection from the remaining episodes: The Gurnius Affair. A Nazi Scientist is freed from a German prison in a plot masterminded by THRUSH, and it’s up to Illya and Napoleon to stop whatever they have planned. However, as I refreshed my knowledge about the episode, the more fitting it seems that it becomes the last standalone episode to be shown. It features Will Kuluva who, longtime #UNCLEtweet livetweeters will know, played Solo’s boss in the original UNCLE pilot, when it was known as SOLO. Gurnius Affair also echoes the season 1 story The Double Affair, as Illya gets an evil twin, just as Napoleon did back in season 1. Finally, this episode also features Judy Carne, the Laugh-In star who unfortunately passed away earlier this month. I hope, then, that you’ll join me for this coming Wednesday’s livetweet session, as we celebrate both some great performers, and a great TV show. It starts at 9pm EST. 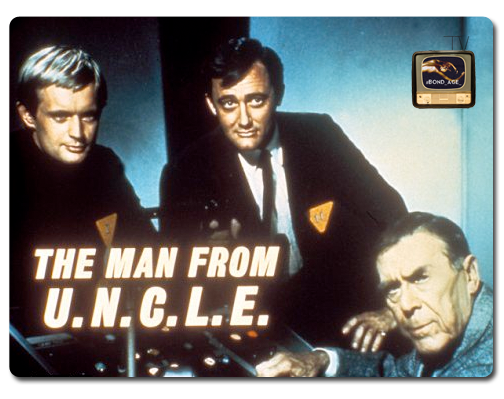 by Greg McCambley | Jul 27, 2015 | #Bond_age_TV, The Man from U.N.C.L.E. 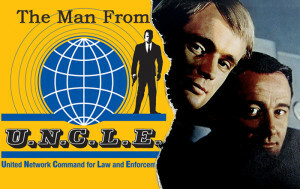 It’s been a while, but #Bond_age_TV is finally entering into its final run of Man from UNCLE as we take a glance at its Fourth, and last, season. The high camp that UNCLE had introduced in season 3 in order to ape Batman’s success was gone, as a new producer was determined to make the series more serious in tone. This week’s #UNCLEtweet features the first two-parter of the season, The Prince of Darkness Affair parts 1 & 2. UNCLE seeks to steal a potential superweapon from evil genius Dr. Parvis Kharmusi (John Dehner). To do the job, UNCLE takes a page out of the IMF’s playbook and hires international most-wanted thief Luther Sebastian (Bradford Dillman) to steal the device. However, things don’t go exactly as planned. The guest cast this week includes performers like Carol Lynley (The Poseidon Adventure), Lola Albright (Peter Gunn, The Monolith Monsters), and John Carradine (Stagecoach, Nocturna). The livetweet starts at 9pm EST this Wednesday, and the hashtag will be #UNCLEtweet. Please join us! by Greg McCambley | Jun 21, 2015 | #Bond_age_TV, The Man from U.N.C.L.E. It’s #Bond_age_TV time again, and I had planned to start Man from UNCLE season 4 this month with The Prince of Darkness Affair two-parter, but life has a way of disrupting plans. Christopher Lee’s passing hit us all so hard, we had to celebrate his life with The Man With the Golden Gun. It was, as always, enjoyable to watch Christopher Lee ooze charm and menace as Scaramanga. I wanted to use #Bond_age_TV to celebrate his legend as well, but the question remained how to do it. He never appeared in Man from UNCLE, so there was no episode I could turn to. The Prince of Darkness Affair would be somewhat fitting, but not what I wanted. I wanted the man himself. Luckily, plans were afoot which made my choice of episode easy. With Season 4 being UNCLE’s last, I’ve had to work on plans for what was to come after. My short list of replacement series really only consisted of one show: The Avengers. In terms of 60s spy cool, it has few equals. 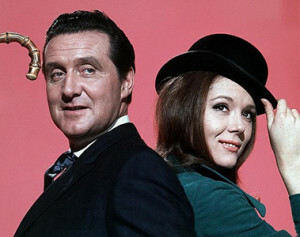 John Steed and Emma Peel are two of the quintessential 60s TV characters, and display a Britishness James Bond would envy. Indeed, The Avengers have arguably as much of a Bond pedigree as UNCLE does, if not more. The Avengers was a logical choice for #Bond_age_TV, and it feels right to move on to it after UNCLE. Christopher Lee appeared in The Avengers twice, his first appearance being in Never, Never Say Die, which aired on Mar. 31, 1967. So I’m pleased to announce that The Avengers will be making their #Bond_age_TV debut this week as the first episode of our livetweet. 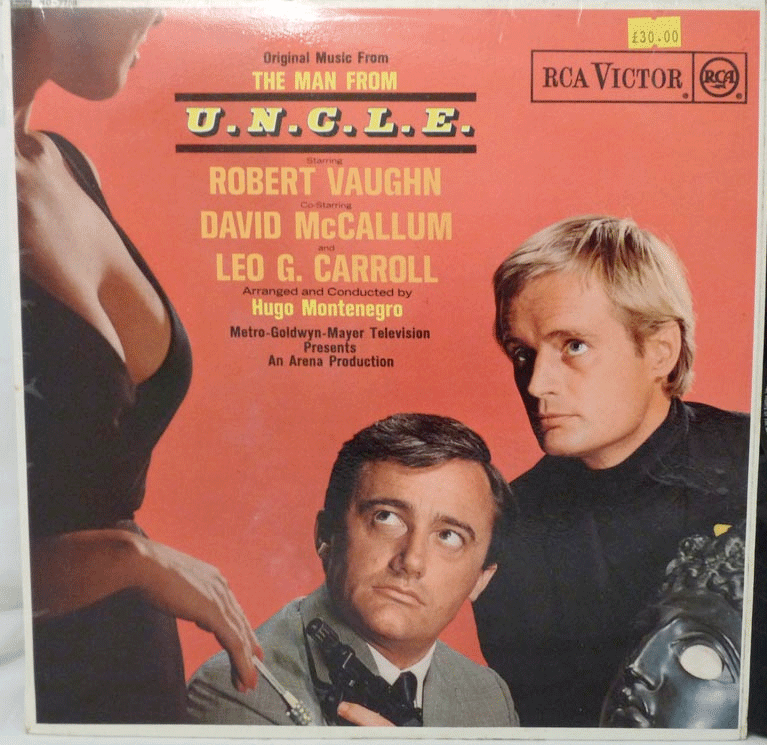 The second episode of this week’s livetweet remains Man from UNCLE season 4, but it too sets the tone for what comes after UNCLE on #Bond_age_TV. This week’s episode is The Master’s Touch Affair, which features another name familiar to Bond fans: Jack Lord. He plays Mandor, a high-up THRUSH traitor who is selling out his organization to UNCLE. I’d initially planned to show this episode after UNCLE season 4 concluded its #Bond_age_TV run because Lord is playing a huge part in my post-UNCLE plans. The year after The Master’s Touch Affair, Lord began what is arguably the most successful of the 60s spy shows: Hawaii Five-0. 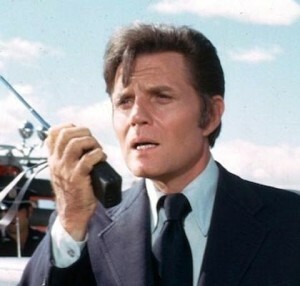 Though ostensibly a police show, Five-O had the spy genre covered as well, blending the two together into a TV juggernaut that paved the way for future Hawaii TV productions. I’m pleased to announce that, once UNCLE is done, Hawaii Five-0 will be taking the 10 pm livetweet slot, following The Avengers. So this Wednesday, please join me as we celebrate the past and look to the future with a special Avengers/UNCLE livetweet event. It features Christopher Lee in Never, Never Say Die at 9 pm EST, and Jack Lord at 10 pm EST in The Master’s Touch Affair. The hashtag for both shows will be #BondageTV. by Greg McCambley | May 10, 2015 | #Bond_age_TV, The Man from U.N.C.L.E. Hello again, everyone! We’ve finally reached the end of season 3 for Man from UNCLE, but do we have a treat in store for us. This week on #Bond_age_TV we’re livetweeting The Five Daughters Affair, parts 1 and 2! A scientist discovers the means of creating gold out of seawater, but dies before UNCLE can secure the secret. The scientist has sent parts of his formula to his daughters living all over the world. It’s a race against time as Napoleon and Illya look to collect the formula before THRUSH can get their hands on it. Like the expansive storyline, this movie also boasts one of the larger guest casts in UNCLE history. Herbert Lom (The Pink Panther) guest stars as Randolph, the THRUSH agent after the formula. The cast also features Joan Crawford (What Ever Happened to Baby Jane? ), Kim Darby, Jill Ireland, and Terry-Thomas. Finally, to top off this cast, the episodes feature not one, but two, Bond villains: Curd Jurgens (The Spy Who Loved Me), and Blofeld himself, Telly Savalas! I hope you’ll join me this Wednesday, May 13th for The Five Daughters Affair! Use the hashtag #UNCLEtweet!